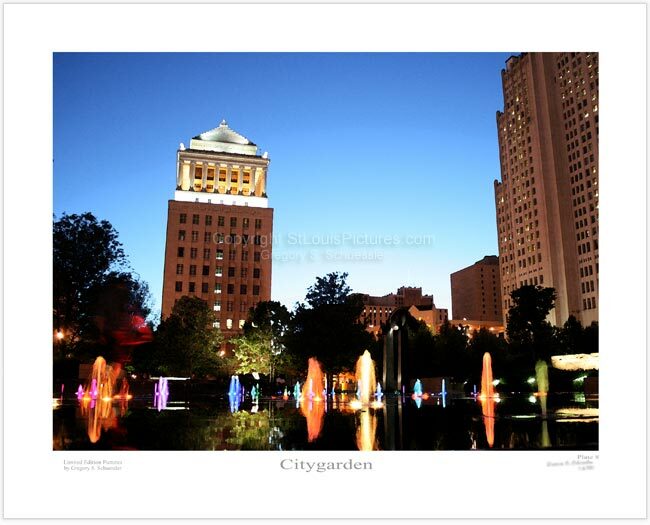 This picture was taken in the splash plaza at Citygarden in downtown St. Louis. The angle of the shot is looking up toward the Civil Courts building, with the water in the foreground accented by LED lights. Locals and tourists alike were cooling off and enjoying the view within this area of Citygarden.